Accomplished man of American letters, and possessor of an impressively arid wit, Mark Twain recounts for the New York Journal a visit from a journalist who mistakenly believed the author might be deceased. “The report of my death was an exaggeration,” Twain tells the reporter. Samuel Langhorne Clemens, better known by his pen name Mark Twain, was an American writer, humorist, entrepreneur, publisher, and lecturer. Among his novels are The Adventures of Tom Sawyer and its sequel, the Adventures of Huckleberry Finn, the latter often called “The Great American Novel”. 1864: Twain moved to San Francisco in 1864, still as a journalist, and met writers such as Bret Harte and Artemus Ward. 1865: His humorous story, “The Celebrated Jumping Frog of Calaveras County”, was published in 1865, based on a story that he heard at Angels Hotel in Angels Camp, California where he had spent some time as a miner. 1870: She rejected his first marriage proposal, but they were married in Elmira, New York in February 1870, where he courted her and managed to overcome her father’s initial reluctance. 1861: He had unsuccessfully attempted to secure the rights for The Prince and the Pauper in 1881, in conjunction with his Montreal trip. 1901: A subsequent article, “To My Missionary Critics” published in The North American Review in April 1901, unapologetically continues his attack, but with the focus shifted from Ament to his missionary superiors, the American Board of Commissioners for Foreign Missions. 1910: Twain’s prediction was accurate; he died of a heart attack on April 21, 1910 in Redding, Connecticut, one day after the comet’s closest approach to Earth. Operatives of Italian anarchist Luigi Galleani detonate package bombs in eight cities, causing property destruction and two deaths. The future US president and his wife, Franklin and Eleanor Roosevelt, narrowly escape a blast, having walked by a package moments before it detonated. The 1919 United States anarchist bombings were a series of bombings and attempted bombings carried out by anarchist followers of Luigi Galleani from April through June 1919. 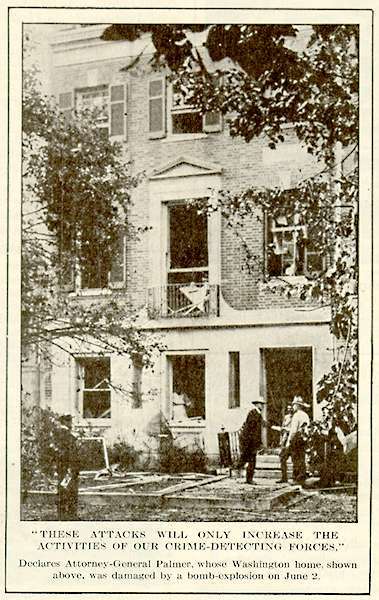 These bombings led to the Red Scare of 1919–20. In the first major event to be televised internationally, Elizabeth Windsor, 25, is crowned Queen Elizabeth II of the United Kingdom. Sixteen months in preparation, the coronation hosts 8,000 guests to witness the ceremony from inside London’s Westminster Abbey, while millions across Europe watch on live TV. The coronation of Queen Elizabeth II as monarch of the United Kingdom, Canada, Australia, New Zealand, South Africa, Pakistan and Ceylon took place on 2 June 1953 at Westminster Abbey. Elizabeth ascended the throne at the age of 25, upon the death of her father, King George VI, on 6 February 1952, and was proclaimed queen by her various privy and executive councils shortly afterwards. The coronation took place more than a year later because of the tradition that holding such a festival is inappropriate during the period of mourning that follows the death of a monarch. During the service, she took and subscribed an oath to, among other things, govern the peoples according to their respective laws and customs, was anointed with holy oil, presented and invested with regalia, and crowned. Kenneth Wayne “Ken” Jennings III is an American game show contestant and author. Jennings holds the record for the longest winning streak on the U.S. syndicated game show Jeopardy! and as being the second highest-earning contestant in game show history. In 2004, Jennings won 74 Jeopardy! games before he was defeated by challenger Nancy Zerg on his 75th appearance. His total earnings on Jeopardy! are $3,196,300, consisting of $2,520,700 over his 74 wins, a $2,000 second-place prize in his 75th appearance, a $500,000 second-place prize in the Jeopardy! Ultimate Tournament of Champions, a $100,000 win for second-place prize in the Jeopardy Battle of the Decades, as well as half of a $300,000 prize in the IBM Challenge, when he competed against Watson.